Since I had already left the festival on Friday, I was watching online as Jane Fonda slithered up to the microphone to present the Palme d'Or, looking like a beige mermaid in a stunningly unflattering skintight gown covered in iridescent fish-scale sequins. Giving a rousing short speech in French, Fonda finished in English with, "Let's cut to the chase, OK," turning to jury president Robert De Niro for their decision. Judging by press gossip and speculation around the Palais this past week, the choice is not unexpected. 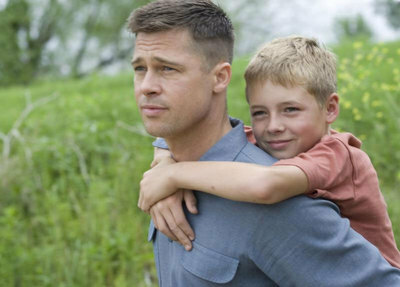 This year's Palme d'Or goes to "The Tree of Life" by Terrence Malick. Unlike the Oscars, the awards ceremony at Cannes is short and to the point. It's free of standup comedy, production numbers, and songs. The mere handful of prestigious awards is bestowed with a minimum of pomp. 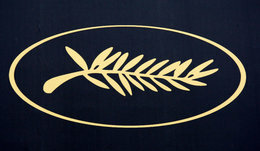 Filmmakers who have been advised to attend the ceremony know in advance that they've won something, but they don't have a hint whether it's the Palm d'Or or a lesser prize. I remember hanging out with members of the Taiwanese press the afternoon of festival closing day in 1995, in an apartment on the Croisette where director Hou Hsiao-hsien paced the floor and chain-smoked, waiting for a call about his film "Good Men, Good Women," that never came. This afternoon, I could imagine directors including Aki Kaurismaki ("Le Havre") and Nanni Moretti ("We Have a Pope"), who have triumphed at Cannes in the past, sitting by the phone as the realization dawned that it wasn't going to happen for them this year. The Grand Jury Prize is split between two films that couldn't be more distinctly opposite each other: "The Kid with a Bike" by the Dardenne brothers, and "Once Upon a Time in Anatolia" by Nuri Bilge Ceylan. "The Kid with a Bike" has the Dardenne brothers moving into happy ending territory with a film that, while less complex emotionally than previous films, will likely found more appealing to a wider audience. "Once Upon a Time in Anatolia" is both challenging and mesmerizing, a 150-minute long film in which the first hour takes place entirely on dark country roads. It was shaping up to be one of my favorite films of the festival. Best Director went to "Drive" an American production by Danish director Nicolas Winding Refn. There's a Chicago connection to this dark, violent action film: one of the producers is Chicagoan Gigi Pritzker. With ingredients that will appeal especially to the under-30 male portion of the mainstream audience, I'm guessing that of all this year's Cannes winners, "Drive" may be the box office champ. "Best Screenplay" went to Israeli director Joseph Cedar for "Footnote," a film with the kind of intellectual dialogue and emotional heat that gave his actors a chance to shine in their role. Cedar dedicated his award to New York film distributor Don Krim of Kino International, who died of leukemia on Friday. I'd like to add my own note on Don. He was a daring distributor who took chances on a great range of foreign and domestic films, as well as on restorations of classics including "Metropolis" (1927). I would run into Don often at Cannes over the years. He'd be dapper in his tuxedo, heading for an evening screening at the Palais but always eager to stop and talk about the day's premieres. In other Cannes awards, the Jury Prize went to "Polisse" by Maiwenn. Best actor went to Jean Dujardin, who plays a has-been silent film star in "The Artist." Best Actress went to Kirsten Dunst for her role as the unhappy bride in Lars von Trier's "Melancholia." No doubt von Trier was watching the ceremony on TV too, since his controversial remarks at the press conference for "Melancholia" caused him to be banned from the festival premises as "persona non grata."